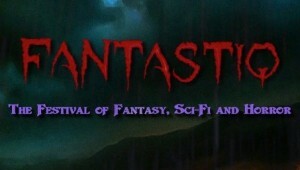 Fantastiq is back for another packed weekend of films and events! With special guests – including JENNY AGUTTER and director PETER SASDY – on hand to discuss their work in the world of fantasy, sci-fi and horror cinema plus many exciting screenings including previews, short films and 35mm classics from the vaults, FANTASTIQ III is not to be missed. Book your £50 weekend pass HERE or call the box office on 01332 290 606.